Our beloved Mexican joint in the heart of the city, Beach Burrito is back – but not without a party! From 2.55pm Hit104.7 will be handing out FREE TACO’S. Beach Burrito will be launching their new look from 7pm, where locals can come and enjoy free entertainment by the Raio de Sol Samba band and a DJ spinning caliente (hot) fiesta tracks. To get the party started, frozen margaritas will be $10 all night long to accompany the new exciting menu items such as the jackfruit taco! BUT the pièce de résistance of the night – guac is FREE! Grab your boarding passes and join us for One Night in Mexico! Check out the event here. Canberra fashion lovers, get ready for a night to remember! For the first time, Marie Claire is coming to Canberra Centre. Join for a one-night-only event of exclusive discounts and in-store offers from your favourite fashion, beauty and lifestyle retailers from 6-9pm. Plus, enjoy styling workshops and expert advice from the editors of Marie Claire. 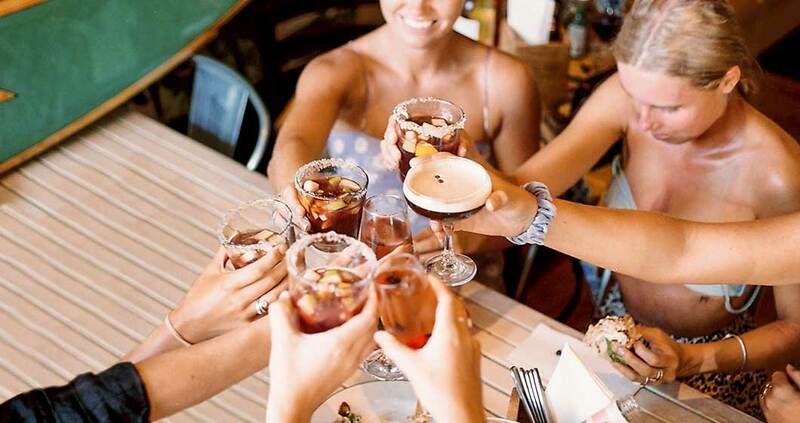 Grab your girlfriends and get ready for a shopping event! For more information, visit their website. Gift bags will be offered to the first 100 guests to arrive! 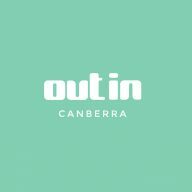 To register your interest and go in the draw to win a $300 Canberra Centre gift voucher, click here! John and Marina from McKellar Ridge have always shared a passion for wine and will join at The Canberra Wine House for a free tasting event, from 5.30pm until 7pm. Their award-winning wines, carefully nurtured from grape to glass, exhibit the unique characteristics of the Canberra cool-climate region. So come along to meet the makers, taste some incredible wines, and listen to live music from Bill Olson (6.30pm – 9.30pm), all for free. Enjoy the sound of music in a perfect garden setting from 1.30pm! The Quadrangle Garden at University House is a great space to spend a whole afternoon with the family. Celebrate with partner the CSO and have invited them to create a Garden Series over 4 special events. Bring a blanket or a chair and enjoy listening to a string trio. Refreshing drinks and snacks are available at our pop up bar. Tickets will be limited and need to be pre-booked. Tickets are $35.00 per person entry. Additional drinks can be purchased from the pop up bar. Book your tickets at [email protected]. Enjoy an afternoon out at the best tracks in the capital; Thoroughbred Park! Book a table in the member-only Black Opal Room or enjoy the bar facilities in the Winning Post Bar. Members’ day tickets are $15 and you can book a table with a $25 booking fee. Want a night full of magic? Playing to sold-out houses all over the world, POTTED POTTER takes on the ultimate challenge of condensing all seven Harry Potter books (and a real life game of Quidditch) into seventy hilarious minutes. This fantastically funny show features all your favourite characters, a special appearance from the fire-breathing dragon, endless costumes, brilliant songs, ridiculous props and a generous helping of Hogwart’s magic! Buy tickets here. Kicking off 2019 with the very popular Autumn event. The Forage is hitting the ground running in 2019 and will be mixing things up with some fresh ideas, new vendors, more entertainment but the same chilled out, street party vibes. Grab your mates, family and dogs and help kick start The Forage year! The Forage is on 2-7pm at Dairy Road, Fyshwick. An exciting new wine event comes to Canberra for Wine Week! Enjoy the fabulous views over the newly opened Norton Road Wines‘ vineyard with a three-course lunch featuring matching wines from local small-batch boutique wineries, Enotria and Sapling Yard. These wine producers will share their wine journey stories as well. The event will start from 12 with a glass of Enotria Blanc de Noir, then seating and lunch to start about 12.30 pm. There will then be 3 courses and 4 wines. Cost is $75 per adult and child-minding services are available. Tickets available at Eventbrite. For more details about Winederlust and upcoming events, visit their website. A party like no other is coming to Stage88 at Commonwealth Park. Experience the extravagant African culture with a day of fashion, food stalls, artifacts, traditional music and dance performances. The event will run all day from 10am – 8pm and is free for everyone so bring the family! Celebrate exceptional Italian motor art at the annual Auto Italia Canberra 2019. Their new location at Exhibition Park promises to deliver a bigger and better event than ever! It will be an action-packed day with a visual feast of beautiful Italian machinery accompanied by delizioso Italian cuisine and wines. Auto Italia is also a proud supporter of CanTeen Australia who will be there on the day to raise funds for this very important cause. Bring your whole family along for a day fuelled with action! Buy your tickets or enter here.